This month, we decided to interview a hard working, loyal DelMoSports volunteer as this month's highlight. Meet Sandi Garrison Maund! My family and I are motivated to volunteer in the wee hours of the morning because we are dedicated to helping others. I try to instill a sense of pride in my boys (Logan now 14, and Mason 10) a sense of pride assisting others. They love helping at the races too... meeting the racers and interacting with them. It has helped build their confidence and public speaking skills as well. I love the vibe that everyone exudes at the races. The staff and participants are always so positive, professional and kind. One year... we all got up on Logan's birthday to volunteer... he did not mind it at all! The boys are always cheerful and happy as they participate in the various events. 2. Do you volunteer with a group or organization? If so, please give us some info. We have volunteered with three different organizations. It all started with Cub Scouts (my husband Brian is the Cub Master and I am the Committee Chair of Pack 65 of Cape May Court House). We have been active in Cub Scouts... volunteering our time/talents, selling popcorn, being Den Leaders and running/organizing events for over 9 years. We also volunteer for the P.E.O. Sisterhood. We are a group of local women who raise money to support women's education. P.E.O. has 6 projects that we support, and we give various loans, grants and scholarships to women in need. The organization is International and we own and support Cottey College, which is in Nevada Missouri. I have been a member of P.E.O. since 2001. Our members enjoy helping out at the races much better that asking for donations or having to sell items to raise funds. It feels great to celebrate the advancement of women, motivating them to achieve their highest aspirations. Recently, we also began volunteering for Middle Township Panther Band, in hopes of raising funds for their various needs which include music, instruments, uniforms, trip fees, etc. Logan plays the euphonium and is involved with their indoor percussion group. I'm a band mom, assisting wherever I can. 3. Which event is your favorite to volunteer at? 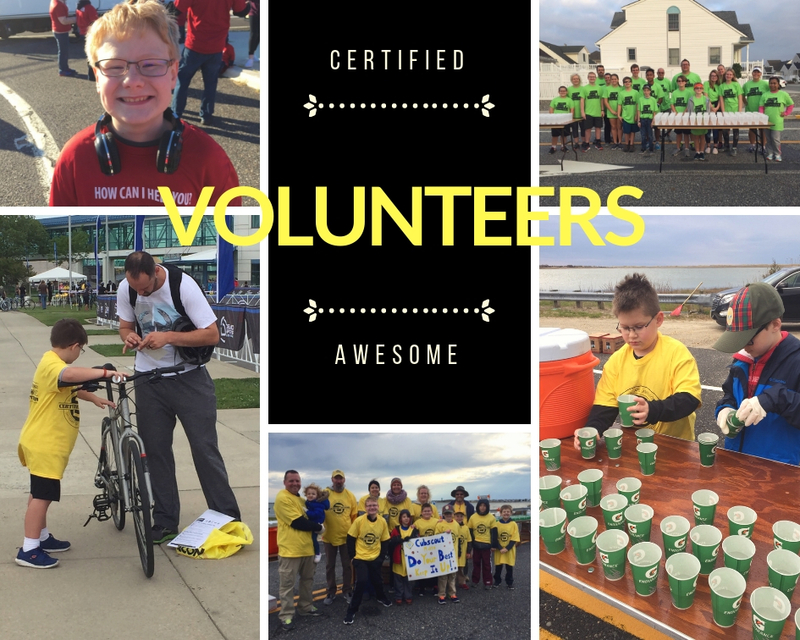 My favorite event to volunteer for is Tri the Wildwoods. Getting up at 4 am in the summer and hanging out at the beach with the athletes is fun!! I also like the Escape the Cape (we assisted with bike check in and registration there as well). 4. What is your favorite volunteer experience with DelMoSports? My favorite experience volunteering with DelMo has been the Escape the Cape Race in 2017. I loved being part of the bike check-in crew. My boys did everything from unwrapping and organizing medals, to security detail (Logan monitored the bike area) to checking bike/bracelet numbers. We only expected to stay for one shift, but more volunteers were needed in the afternoon. The DelMo crew asked us to stay longer, treated us to pizza for lunch, and then put us to work at registration. Logan, myself and another P.E.O. volunteer went upstairs to hand out registration packets. I had no idea how much fun it would be... and I got to see Logan's incredible communication skills shine (proud mom moment!). 5. What are your goals for the 2019 race season? For the 2019 race season, we plan to volunteer at registration and at aid stations with the Panther Band and for P.E.O. We are also attempting to get Boy Scout Troop 65 involved with some clean-up jobs/tasks needed at the races. 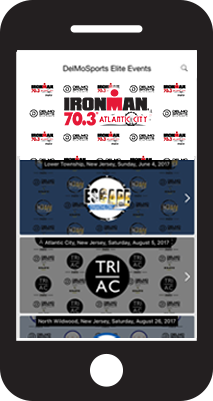 We hope to participate by volunteering for the MudHen Brewing Co. Race Series, Escape the Cape, Tri the Wildwoods and Crest Best Run Fest. My best volunteering advice is to be flexible. All jobs are fun and rewarding, so be prepared for anything! The events are so organized and well run...it is easy to complete any task that arises! - I was born and raised in Cape May County, choosing to raise my family in this beautiful area. - I enjoy helping/educating others. - I keep very busy. Besides volunteering with DelMo and scouts, I am a Learning Disabilities Teacher Consultant, a Sunday Schoolteacher, a reading tutor, and I play the tuba with the Congress Street Brass Band in Cape May!